Now if you’re just learning about Canva and haven’t taken a spin in Canva, you’ll want to check out my beginner’s tutorial first or Canva’s tutorials to get the basics before reading on. This is the problem – there is no eraser or brush to remove objects from Canva images. When you have a pattern sheet with multiple graphics, it’s pretty much stuck there. Many people won’t think twice about using them because it’ll be too much trouble to correct. You’ll have to use another software or application to remove the other objects in the image. Those are extra steps that just waste time and money. 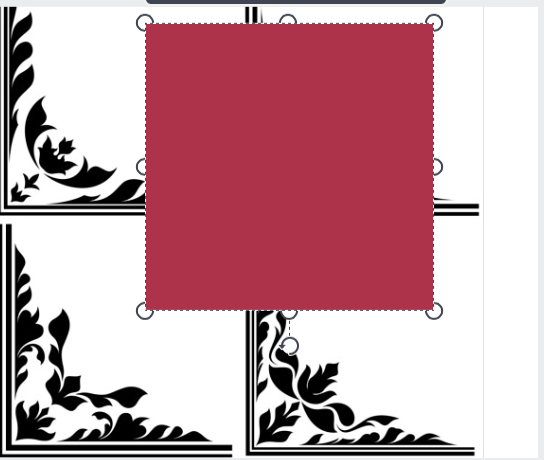 When you have a pattern sheet, the image that you want will most likely be small because of the other images on the sheet. To resize, pull at the resize elements shown in the example below. It will show when you click on the text box or graphic. Use the Shapes button to find the proper shape to manipulate the image and cover any objects that are in the way. Okay, I know you’re saying, “Hold up! That’s a totally different color. What are you thinking? !” Take it easy… I’m getting to it in the next step. Match the background with the shapes. Now this part can be a bit tricky however a little patience and effort it will be worth it. 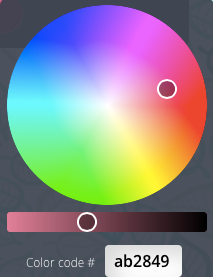 You can change the color on the color palette to match the background by picking a similar color that you need and then using the slider. If the graphics were on a white background, you’ve got it made! Easy-breezy. 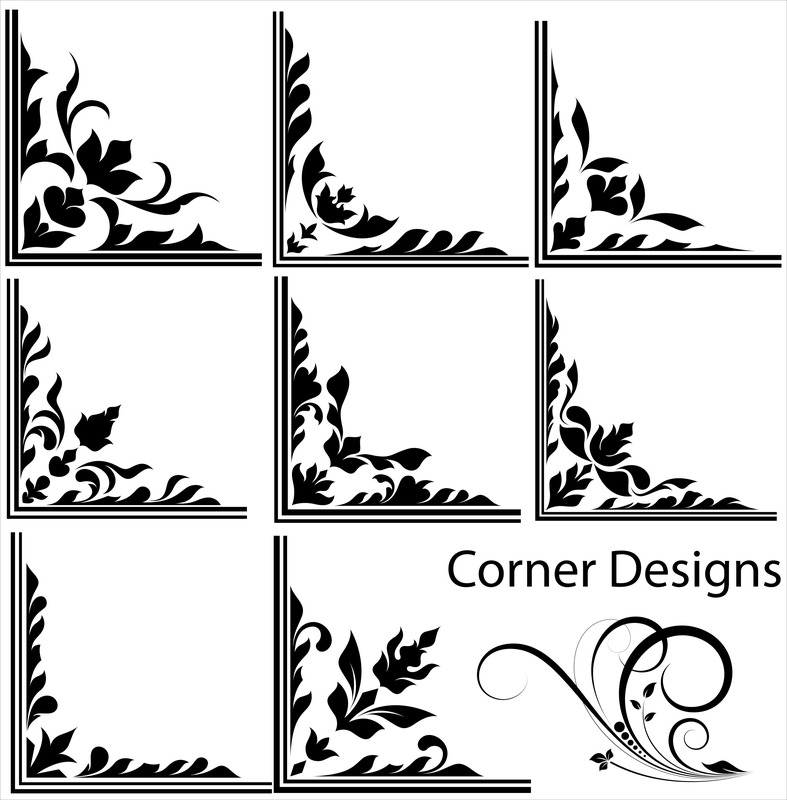 Remember the original pattern sheet I showed you with the black elegant floral graphics. I fell in love with it and I knew I had to use it. Here’s a quick tutorial to show these steps in motion and a few other tips. Notice the graphic on the right is pixelated? 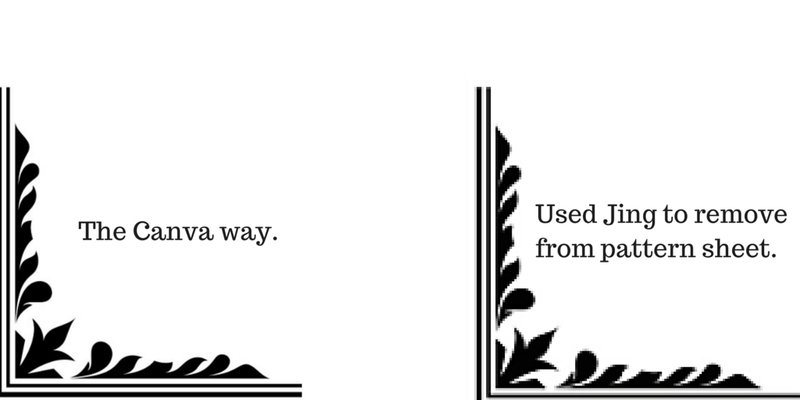 This is why doing it straight through Canva would be best. I hope these steps were helpful to your graphic needs. If you find some awesome graphics that you want to use and find that it’s on a pattern sheet I sure hope you give it a try. If you have any similar tricks I’d love to hear about them. Let me know in the comments. Wow! that is quite something! 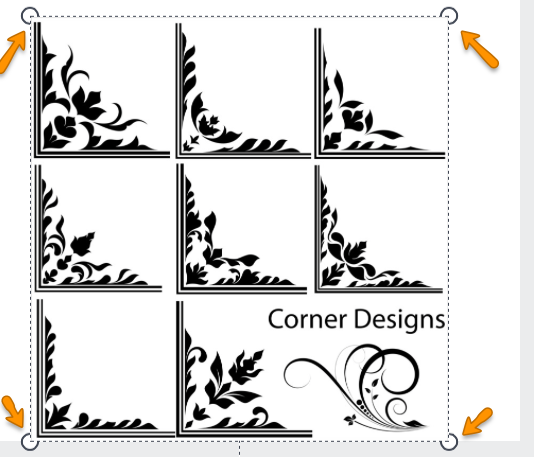 I have used Canva, but haven’t yet advanced to using graphics that are on pattern sheets or mixed with others yet. This looks like something to practice when time allows, you make it look so easy Lilian!! I’m so glad you liked this post and that it’s helpful to you. Using pattern sheets can take a bit more time because it takes practice but it’s worth it. You’re more than welcome to check out the other videos for more tips and tricks. This is cool! I’ve always wondered what use pattern graphics are. Thank you for the simple, clear explanation of how to do it. Thanks Willena! I’m happy it was useful to you. This is awesome! I need to give this a try 🙂 Thanks you always share such useful and fun stuff to do with Canva! Thank you so much for doing this post. I use Canva all the time. I have created some things like this, but this information has my wheels spinning in my head so much, that I want to go there right now and make a bunch of pictures. I’m not that creative visually, but you have given me some great ideas. I’m so glad I got your creative juices flowing! It amazes me how many different types of designs can be made in Canva. Please post your newest design here. I’d love to see what you come up with! Thanks for sharing that great tip Lillian. I love playing around with Canva; however, since time has been limited I have been sticking with the very simple. I’ll be heading over to your blog to see what you’re up to! Wow you really know how to rock Canva! Have you ever put together a video tutorial? I think that would be awesome along with your ebook! Thanks. I really do love Canva so I have quite a few tricks that I use. I do have tutorials and I plan to have a video training ready for 2015 via webinar. AND I’m planning to have a 2nd version of How to Use Canva Like a Pro ebook since Canva is always updating with new features. SO 2015 is going to be very busy for me! LOL Loving it! Fantastic how to! I’ve been wondering this for a while. Thanks Lillian! Thanks Tory! Glad this post helped you. 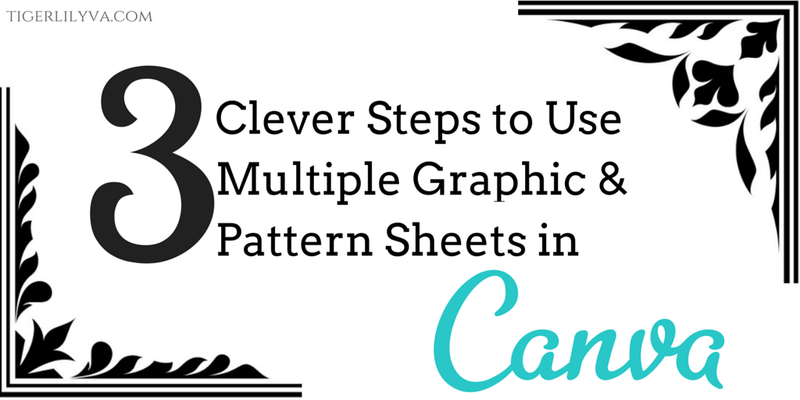 Hi Lillian, We are going to have to start calling you the “Canva Diva.” Thank you for this great tutorial. I am using Canva more and more every day. I also know if I have a question, I can come here to find an answer. I’m so glad you find my posts resourceful!